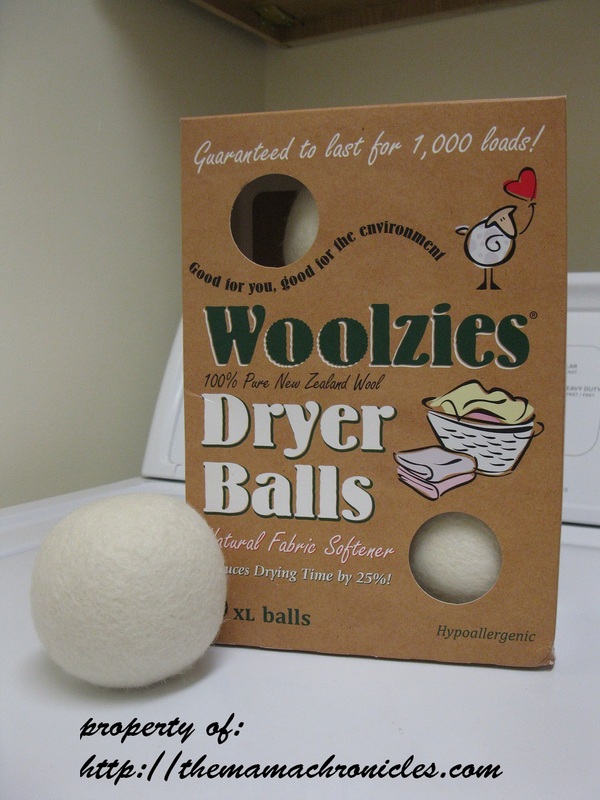 I received a box of Woolzies Dryer Balls for free in exchange for my honest opinion. Well, let me tell you... These things are awesome!! There are 6(six) dryer balls in the box. You pop them all into your dryer and off you go. 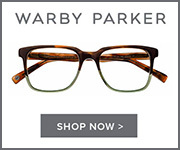 They are 100% pure undyed wool from New Zealand. 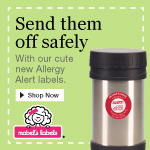 And because they are pure and undyed, no chemicals or fragrances either, they are hypoallergenic. That last little bit is what really drew me to try these. My youngest son has eczema and so we have to be careful with laundry detergents and softeners. Doing my sons' laundry was a pain after drying because of the outrageous static. The static was especially bad with their towels or a big fuzzy blanket. Ouch!! Thankfully after using these, static is a thing of the past. The first few loads still had a bit of static, but not bad at all. It says you can wash these bad boys in hot water with detergent then dry them on high to get them to reduce static if they lose effectiveness. Oh, and the very first load I dried with these balls was a couple sets of new sheets. They actually softened the sheets pretty well! If you do enjoy scented fabric softeners, you can apply essential oils to the dryer balls. The directions state: after the laundry is dry, pull out two balls, apply two or three drops of oil, and then put them back in with the load. Then you essentially fluff the laundry with just air. Well, my dryer is so old I don't have a setting for just air, no heat. Apparently the heat will break down the essential oil and it won't be as effective. 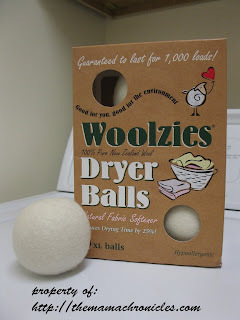 I would definitely recommend wool dryer balls. 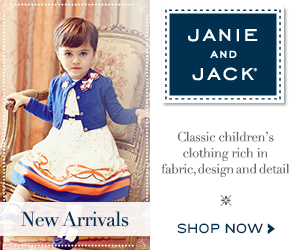 They are a terrific alternative to traditional fabric softeners. If you are looking to go a little more natural with things like laundry detergents, softeners, etc, these are a great way to help! You can find more info on Woolzies on Facbook here or on Twitter here.